Startup Product lives in many places. Participate! Global Product Management Talk – A weekly BlogTalkRadio show hosted by Cindy F Solomon, founder of Startup Product. Cindy interviews dozens of inspiring product people. Hear the next interview live or listen to archives of previous interviews at your convenience! 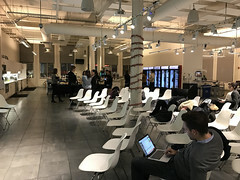 Startup Product Talks SFBay – Regular in-person meetups with talks given by awesome speakers from every part of the product spectrum, held at Atlassian’s HQ in San Francisco, and at various locations in the Valley. Join the Meetup group so you don’t miss out on these great speakers. You’ll find a vibrant community of people that are passionate about product! Twitter – Startup Product was originally born as a Twitter chat, believe it or not! LinkedIn – Join our LinkedIn group for great community discussions. YouTube – View videos from the first Startup Product Summit, held in February 2012. It was a great success and you’ll find out why when you watch and listen to these brilliant speakers give lightning talks on topics from Roadmapping to Dogfooding to Validating your MVP and more. 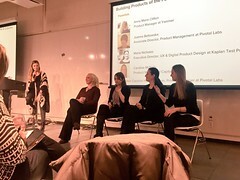 SlideShare – Check out the presentations from February’s inaugural Startup Product Summit as well as presentations from some of the weekly Startup Product Talks. Facebook – Yep, we’re on facebook, too. Google+ – Add us to your circles! Startup Product Communities – Startup Product is branching out! Keep an eye on our Meetup Communities page to see where the next regional Startup Product group will crop up (Next up: Boston, Summer 2013). 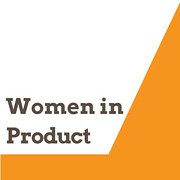 Anymeeting – View more webinars designed to educate on all things product.